Welcome to the Home of BioEra! 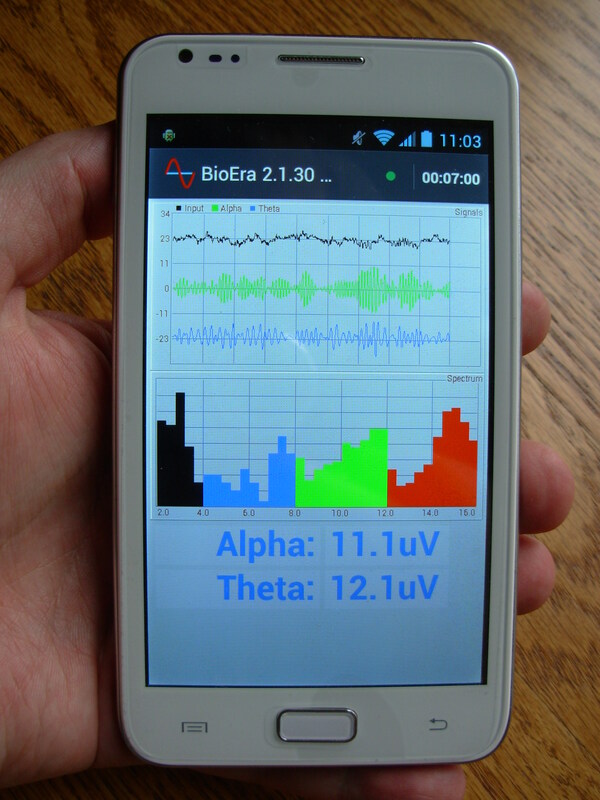 BioEra is a visual designer useful for analyzing signals in real time. 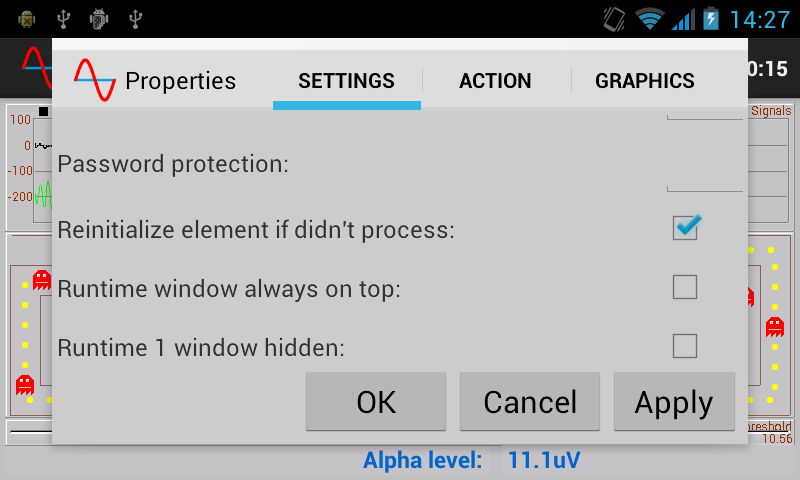 It can be used with any device with ability to stream data to a computer. 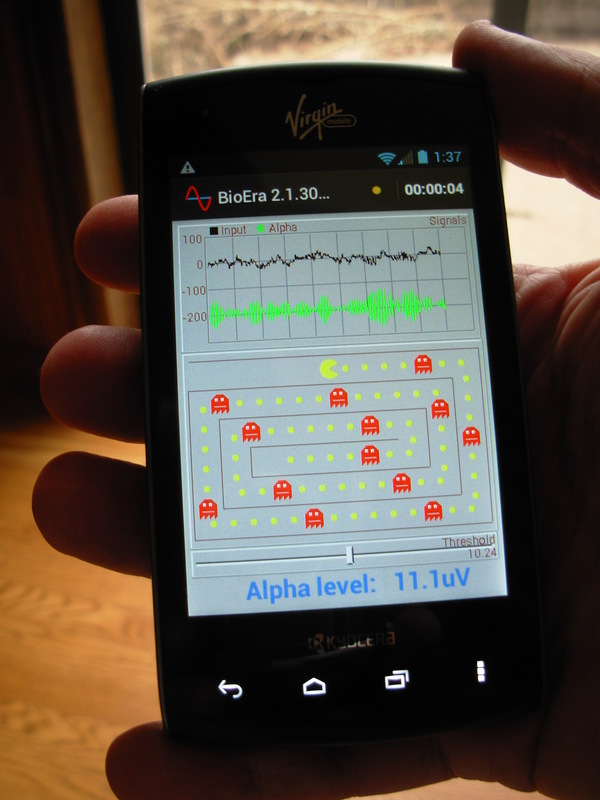 BioEra provides environment and tools to create various types of processing tasks. It can be used for research, games, self exploration, entrainment, sound processing and many others. Each task is contained in a design. To create a design no programming skill is required, only understanding of the process and its requirements. BioEra is used to create a design visually. A design represents data flow from input (e.g. biofeedback device) to output (e.g. 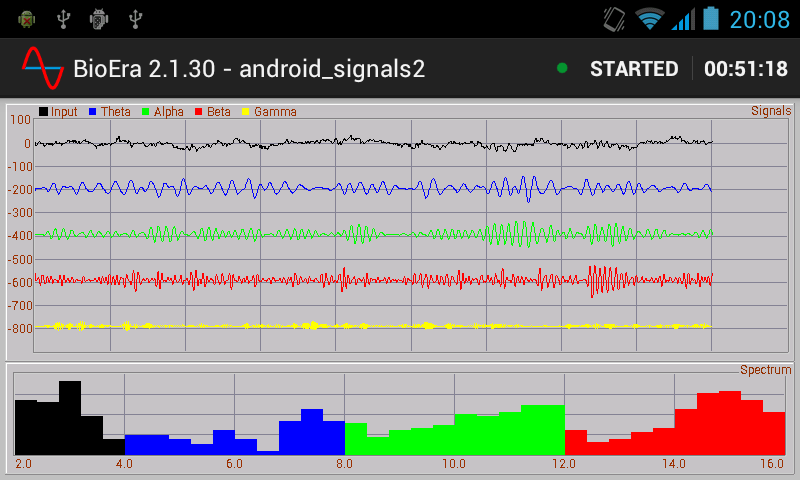 visual or sound feedback). The flow can be customized with hundreds built-in objects (elements). For example an amplitude of alpha brainwaves can be filtered from input EEG signal, it can then trigger a MIDI, video or a computer task at a certain threshold level. On which OS BioEra can run? What can be done with BioEra? BioEra offers high performance, flexibility and unique features not found in any other software. 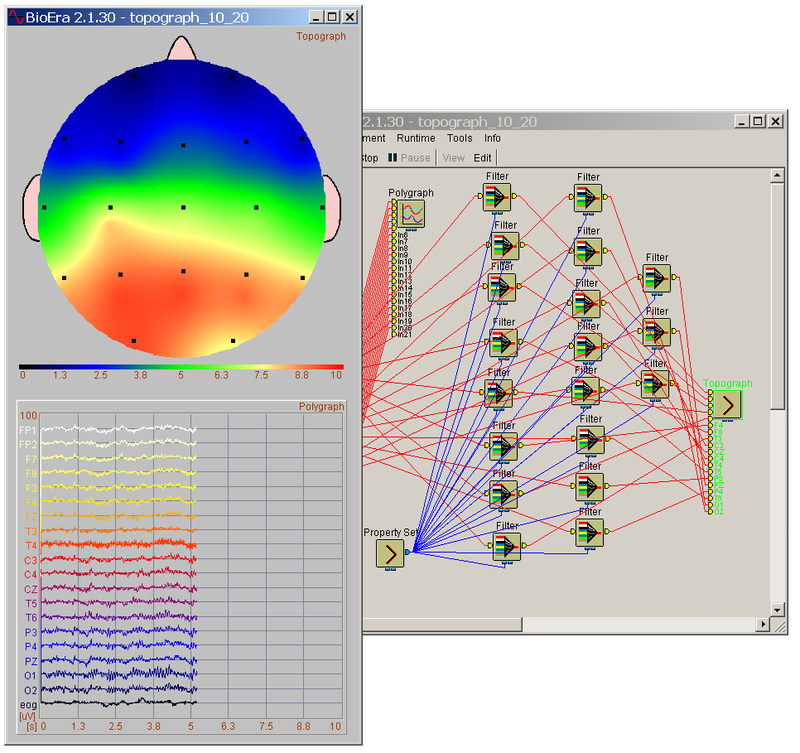 It can process dozens of channels simultaneously in real time (QEEG), many types of biofeedback devices can be connected together all in the same time. A single design with 1000 elements and 3D rendering can use as little as 2% of a processor (tested on Pentium 4, 2.4GHz). Topograph - can display 22 channels in real time! Digital filtering (with Butterworth, Bessel and Chebyshev filters). Arithmetic operations (e.g. add, subtract, multiply, modulo etc). ExpressionEvaluator to allow custom math expressions. EDF - European Data Format supported by many companies. Save data in text files that can be then imported into Excel, Matlab or databases. SQLWriter/SQLReader, allows save/read data directly to an SQL databases, e.g. MySql. Rich support for processing on vectors (arrays). Logical operations: AND, OR, XOR, etc. Customizable/designable Session Reports (charts and table with statistics) with ability to Print and Print Preview. 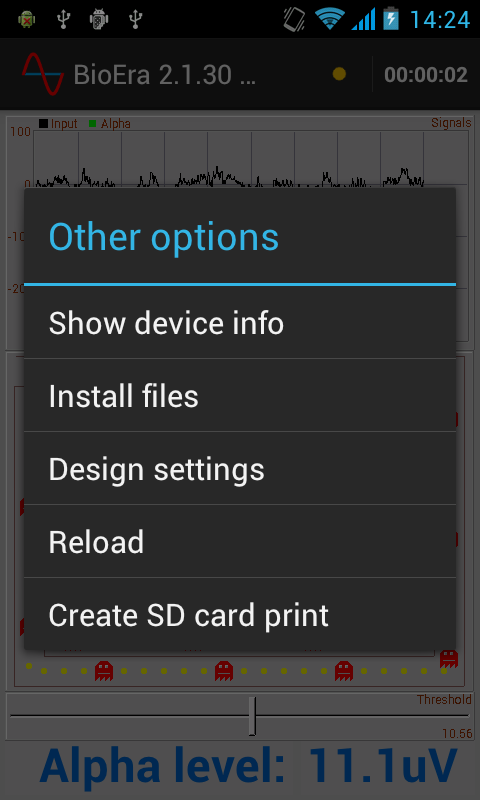 BioEra Pro 4.0 was released with a support for 64bit systems. BioEra Trial 4.027 was released with Ganglion driver. LENSware2 is a BioEra design and software created by OchsLabs, Inc.
(C) 2003-2009 PROATECH LLC. All rights reserved.